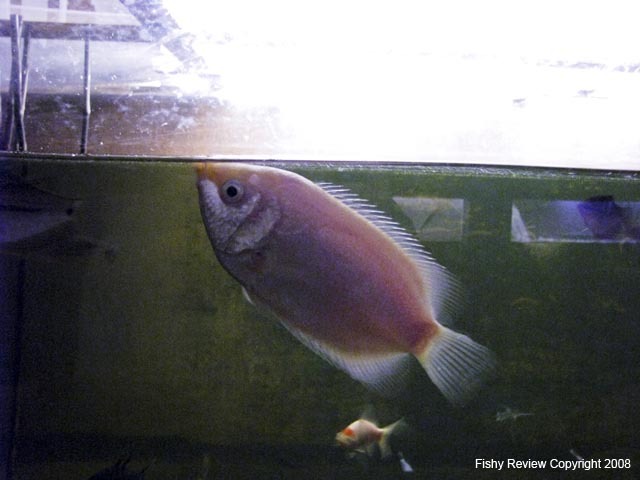 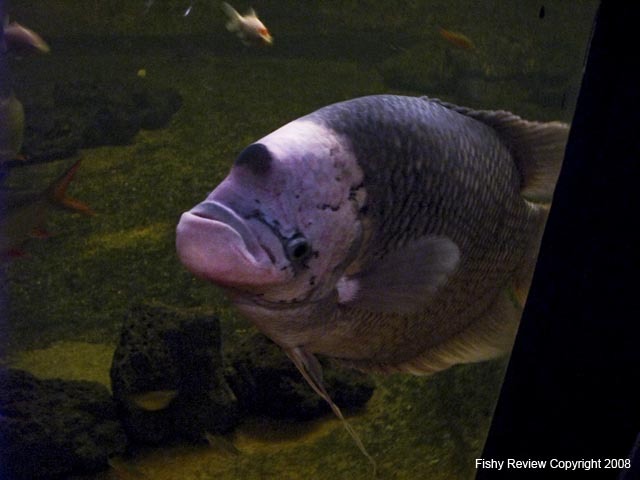 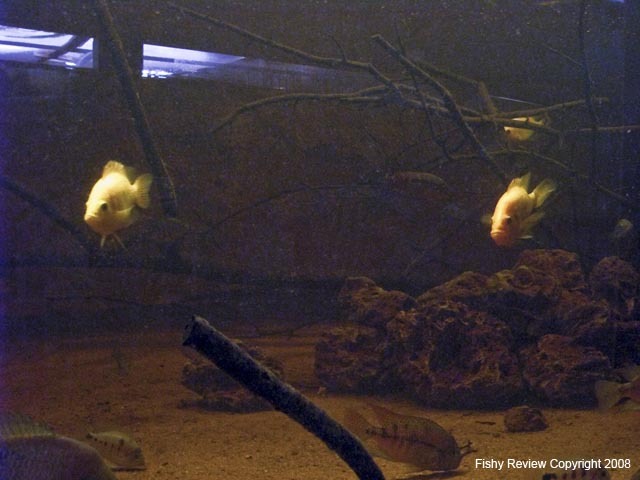 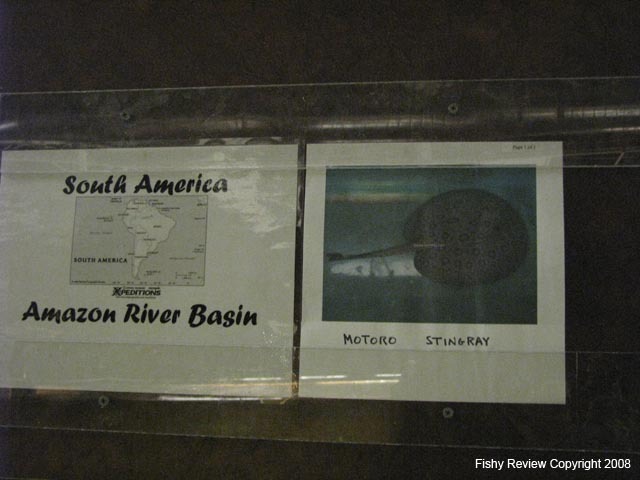 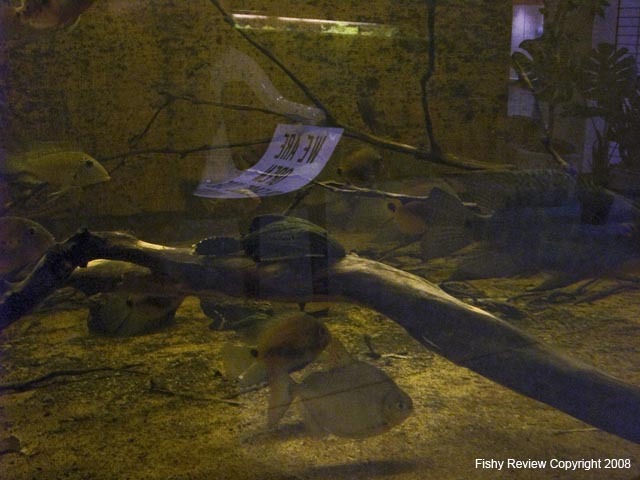 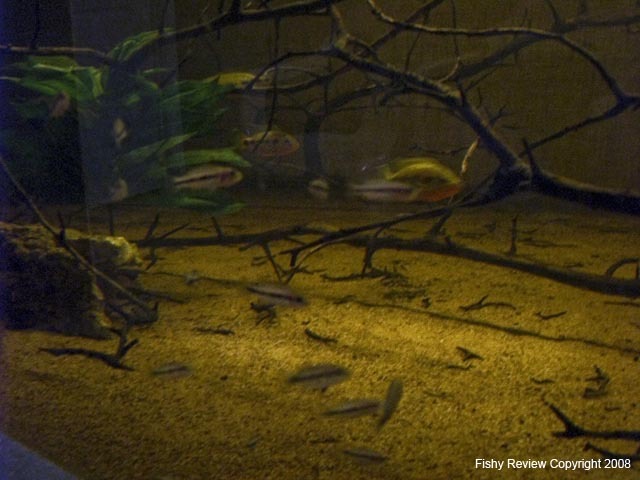 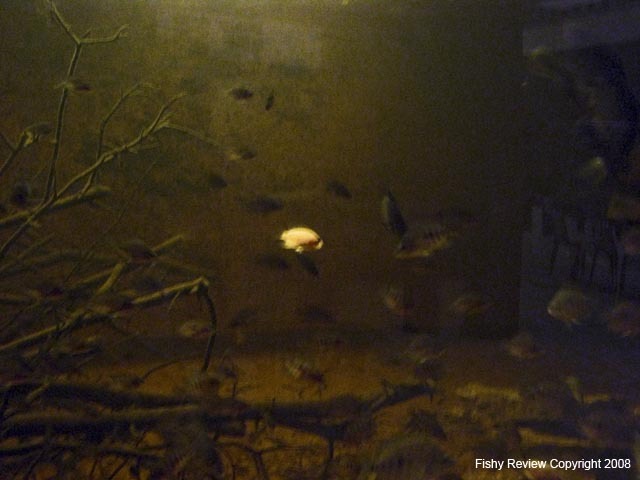 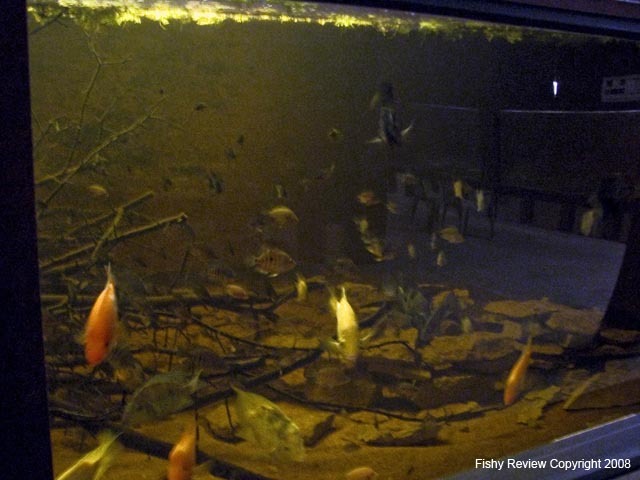 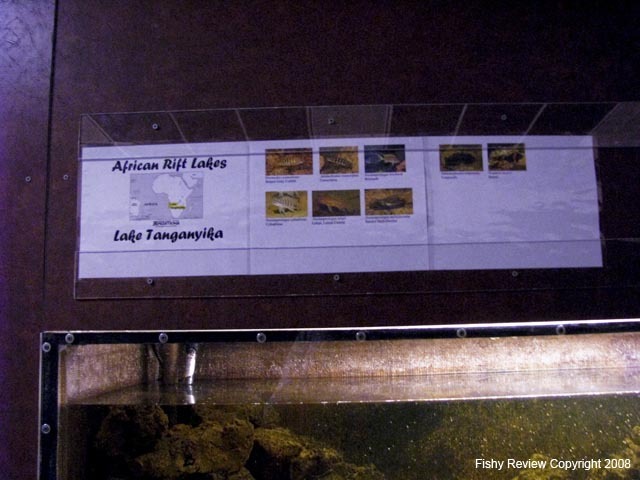 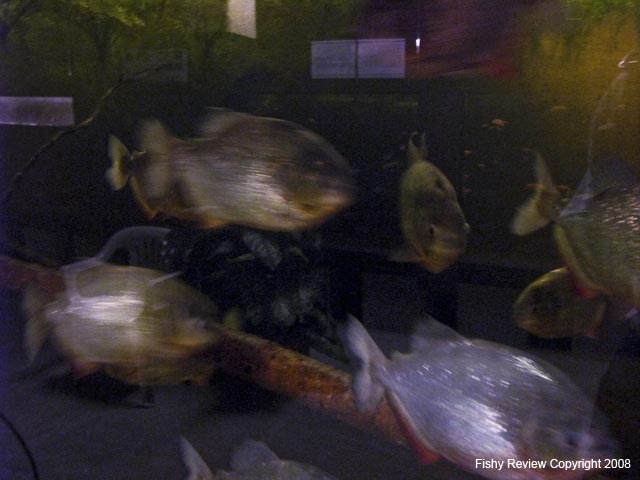 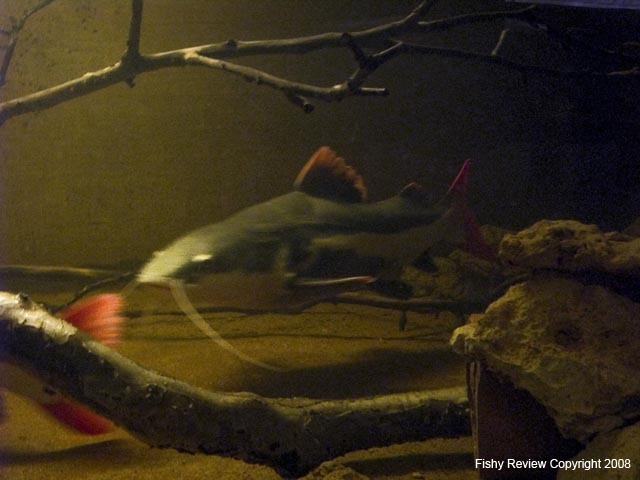 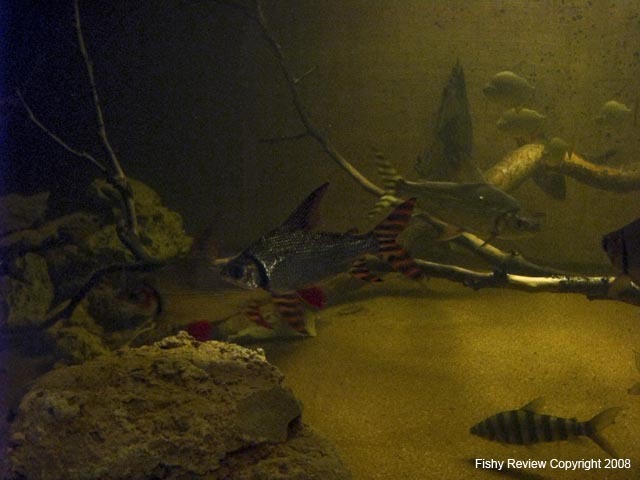 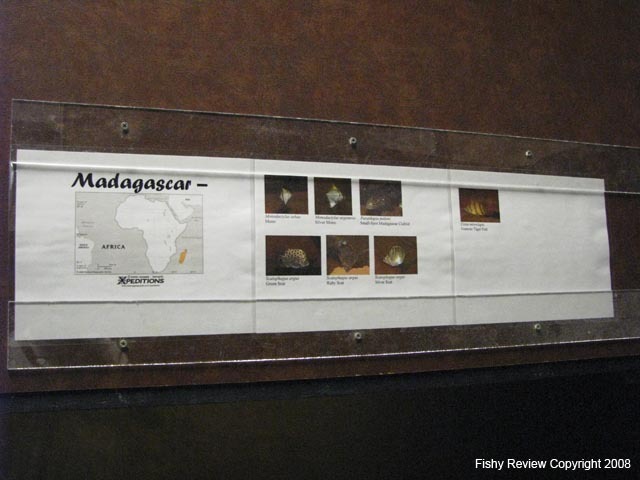 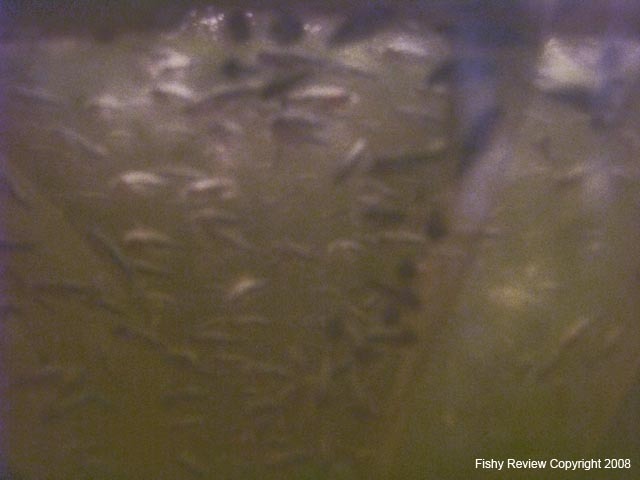 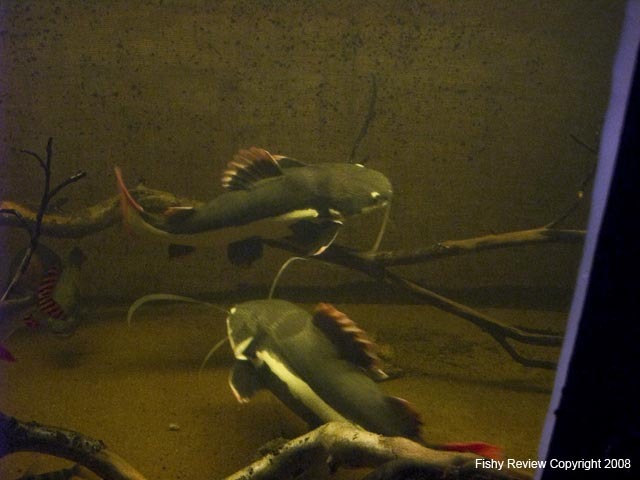 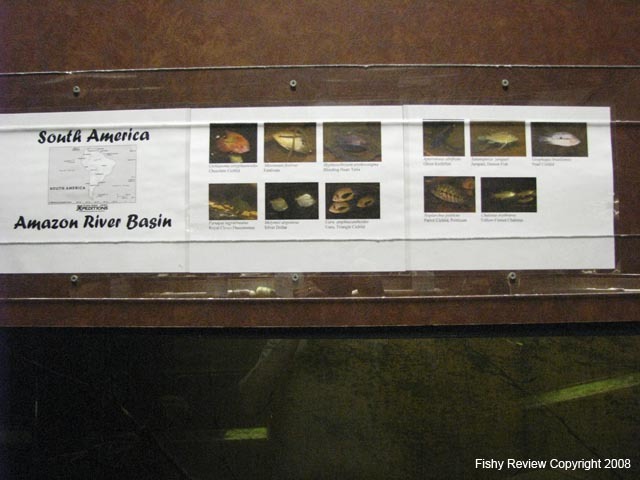 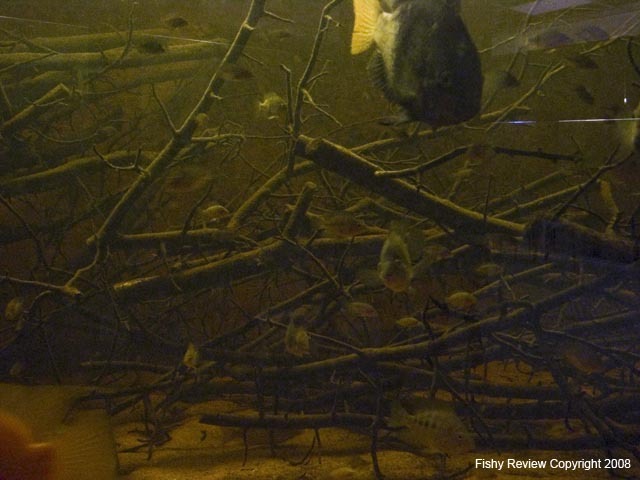 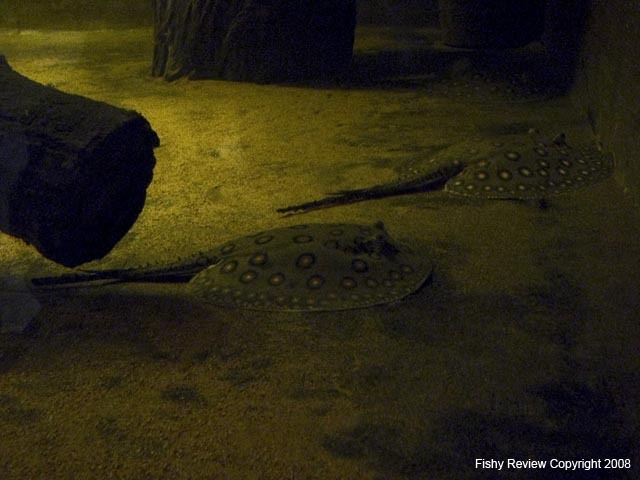 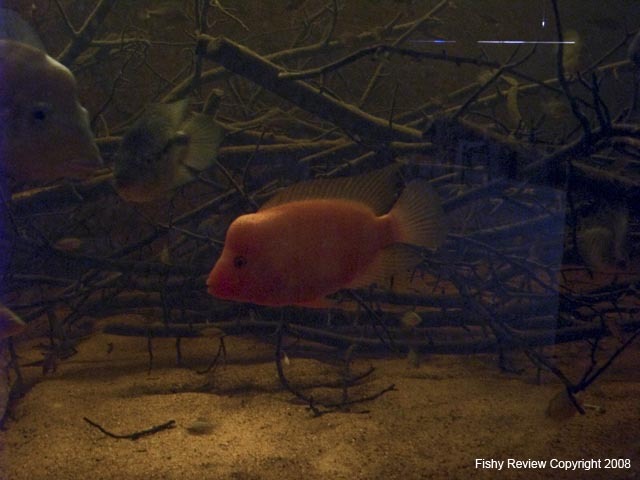 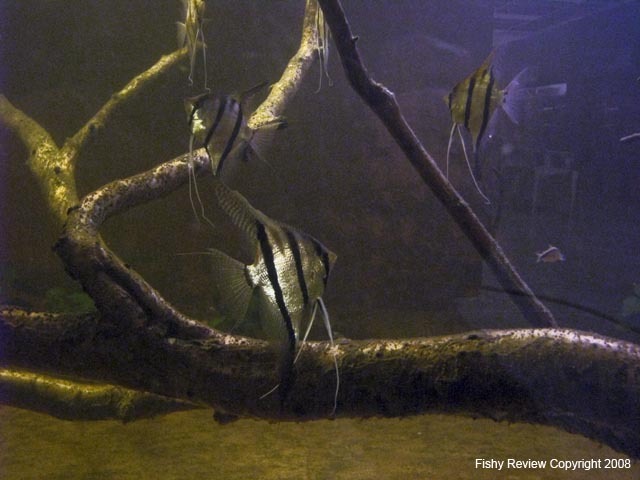 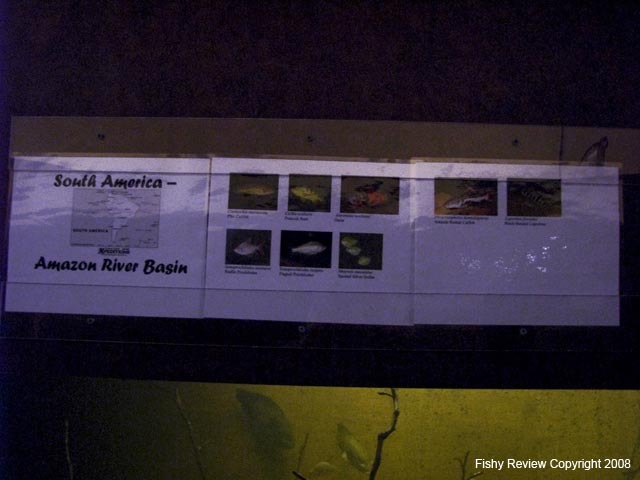 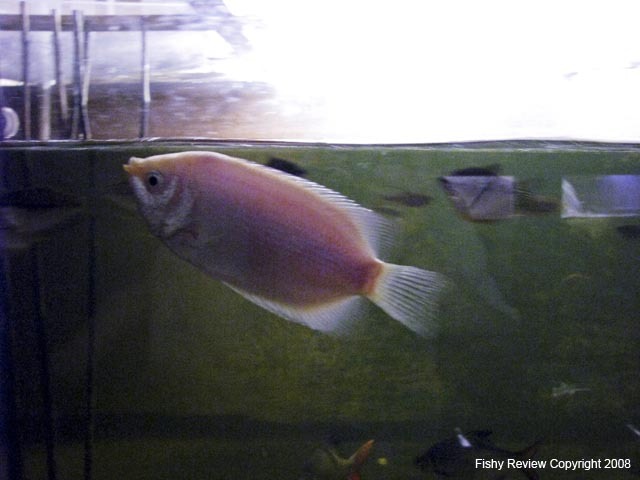 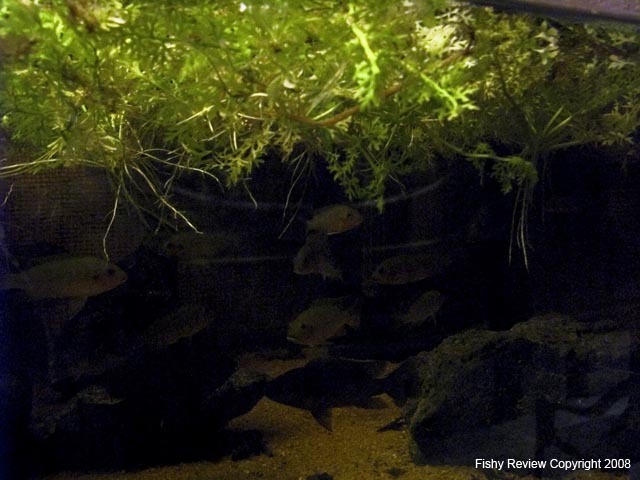 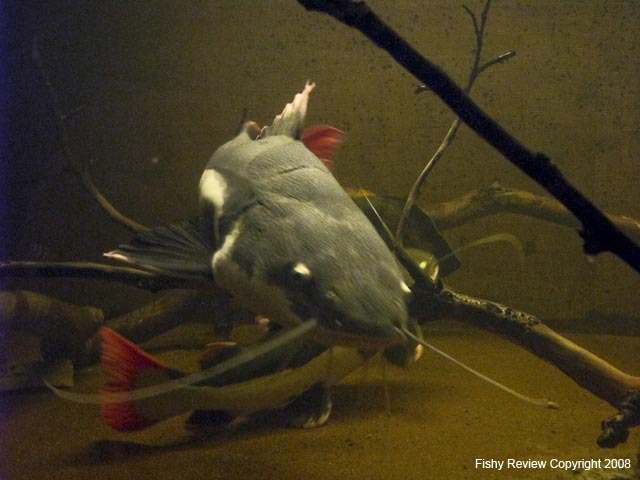 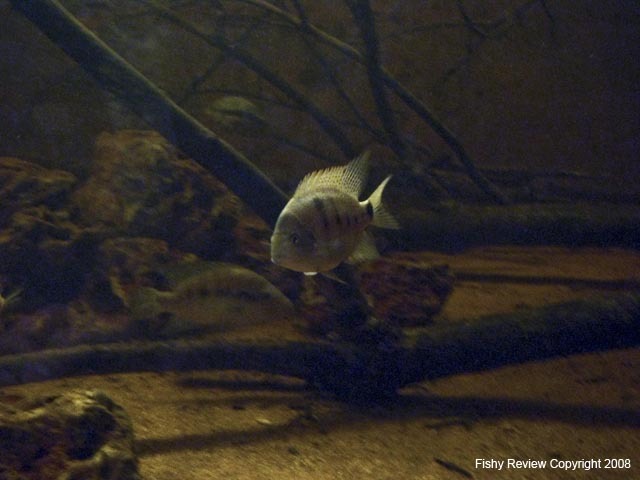 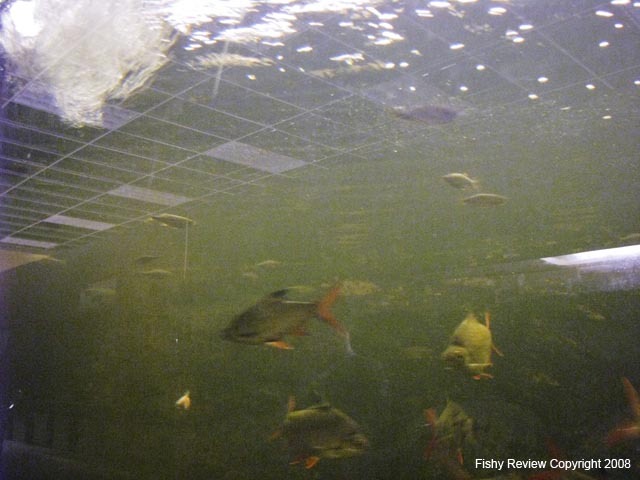 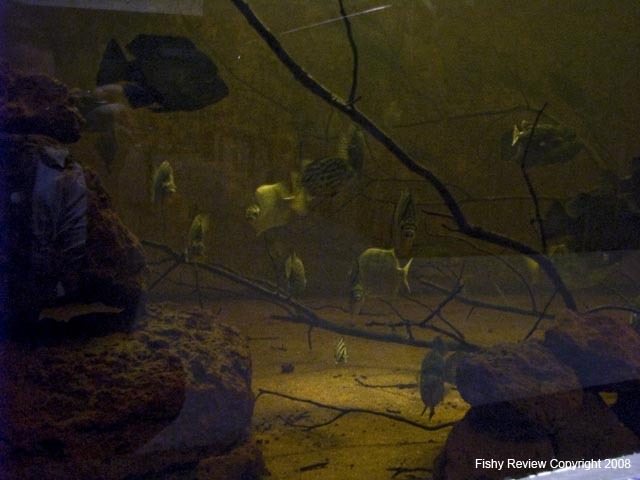 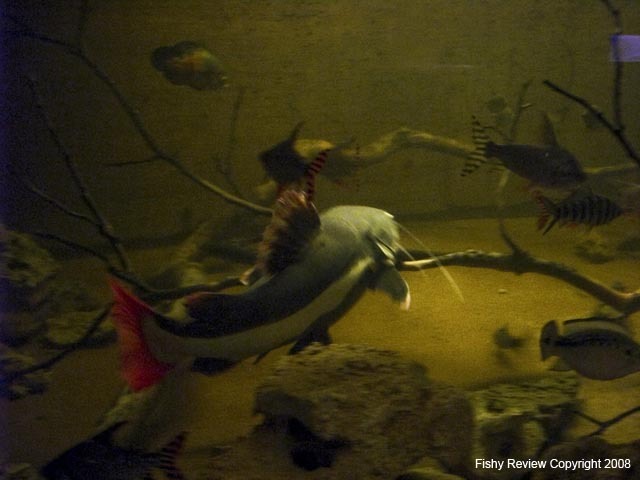 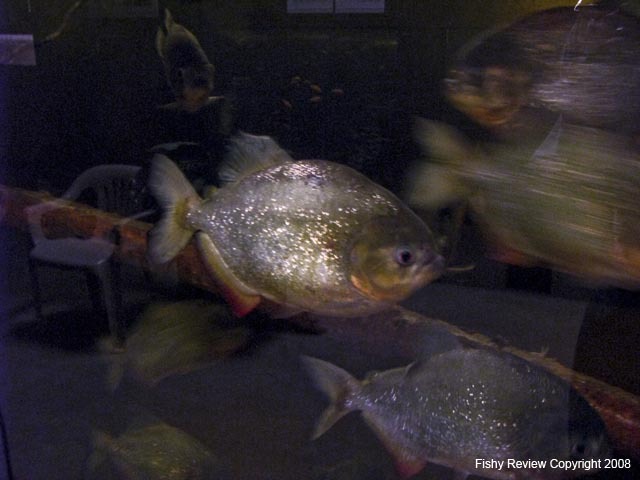 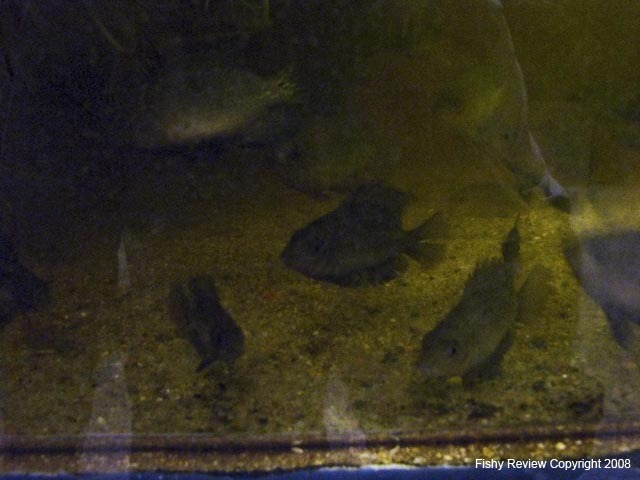 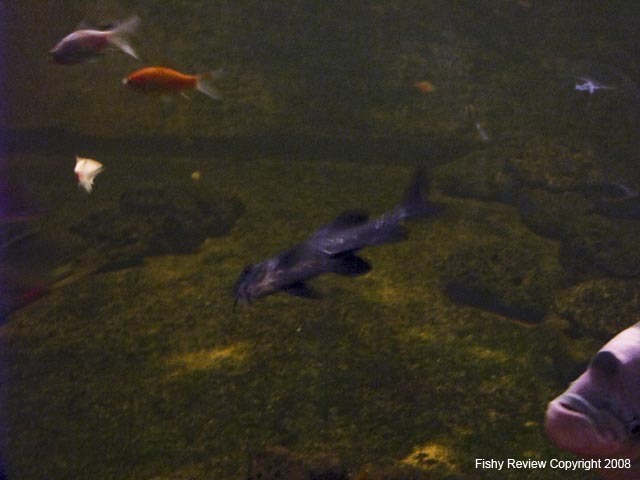 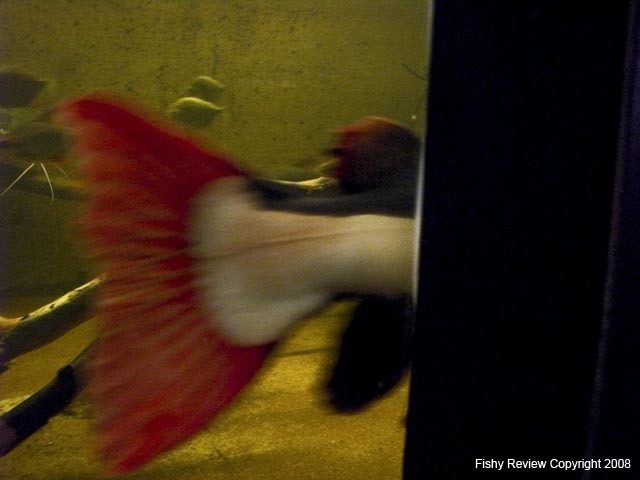 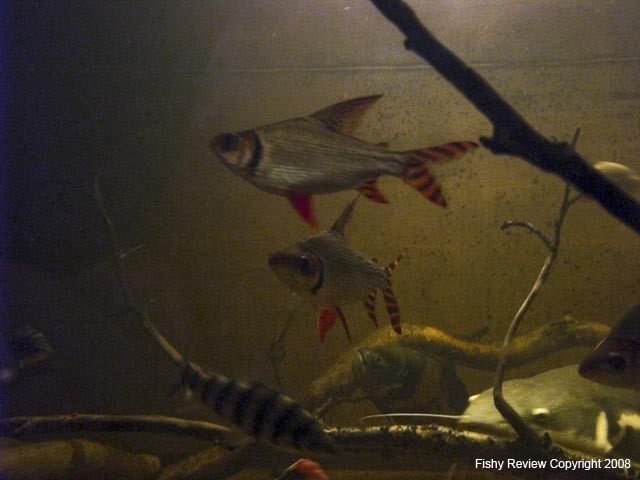 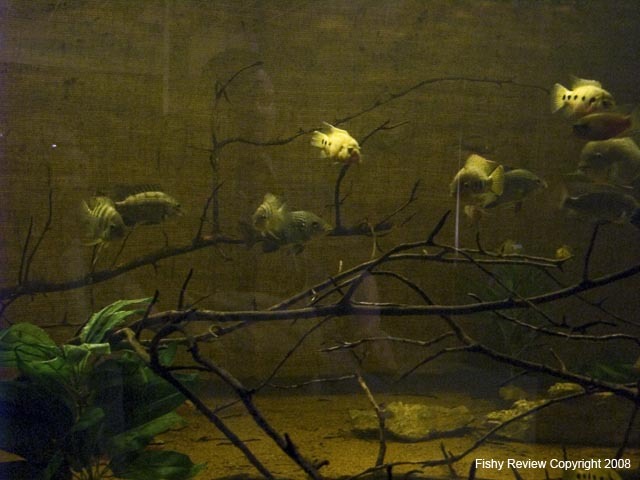 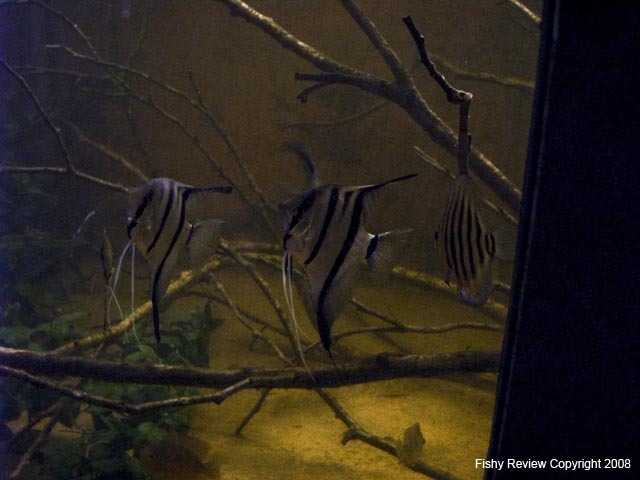 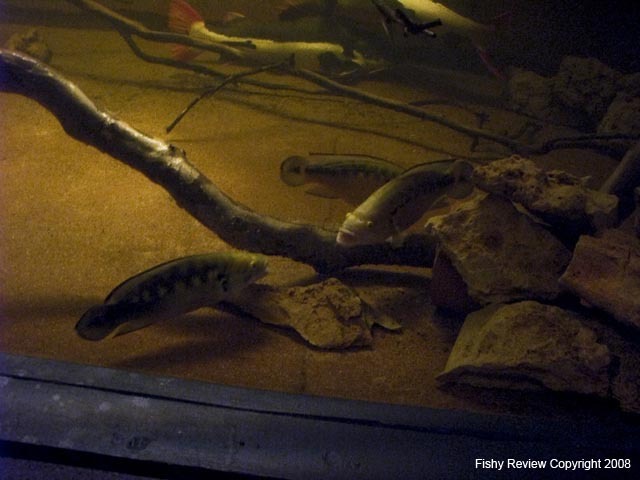 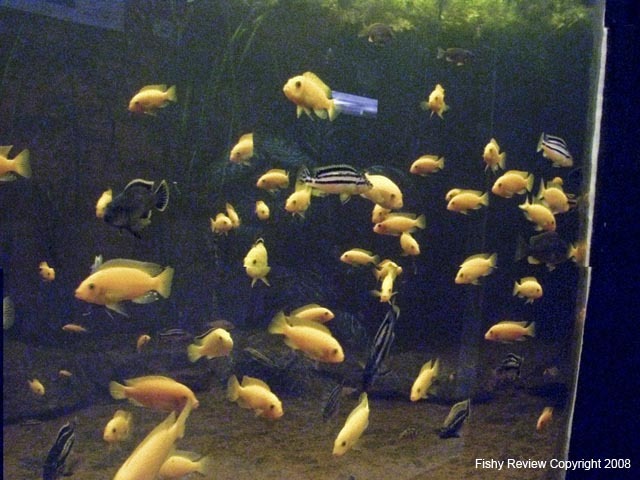 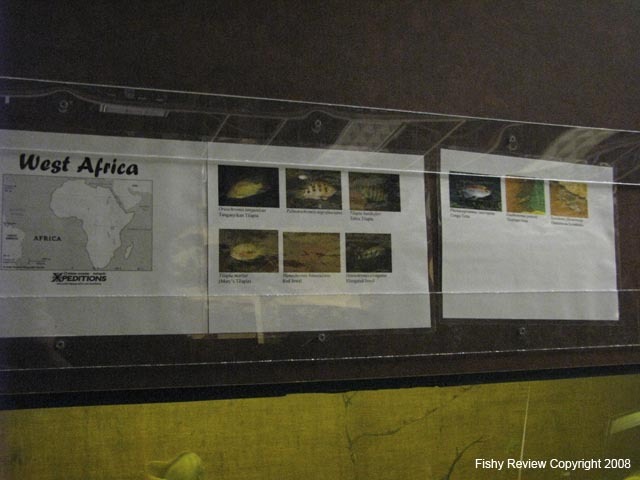 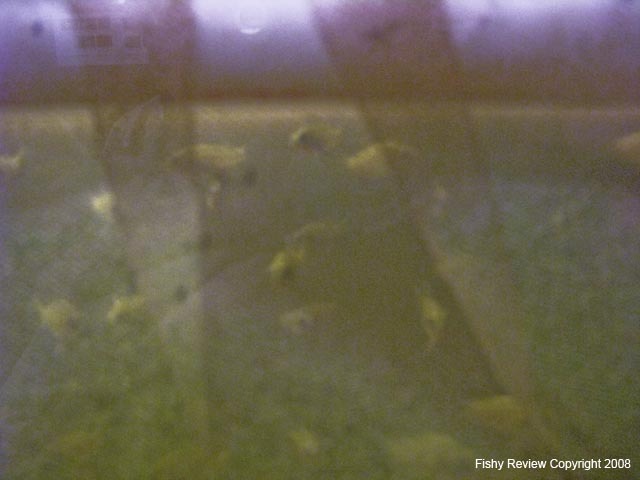 On May 21, 2008, we visited the Piranha Realm public aquarium at the St. Louis Mills Mall in Hazelwood, MO. 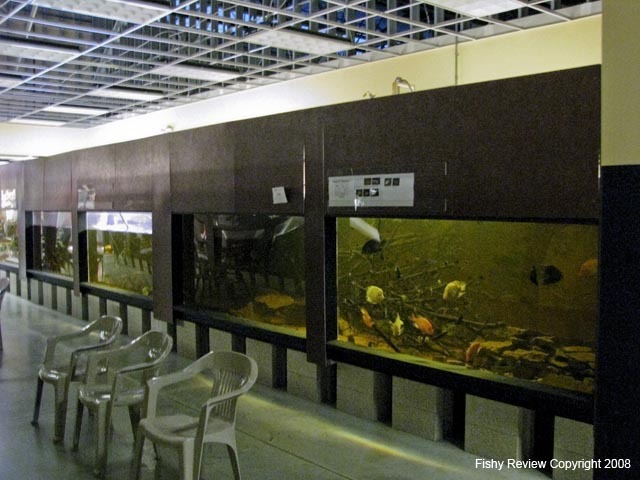 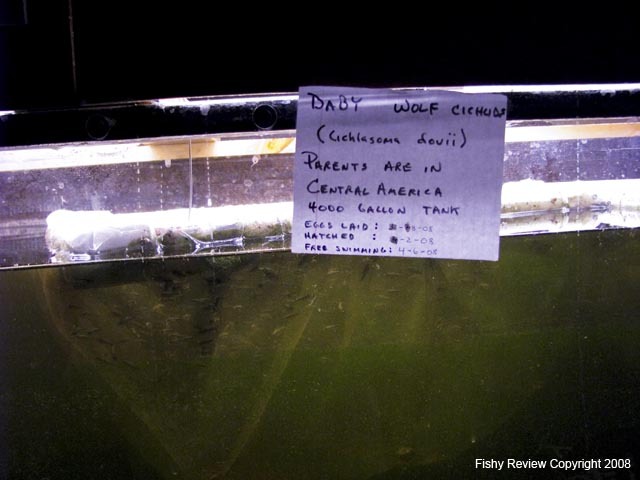 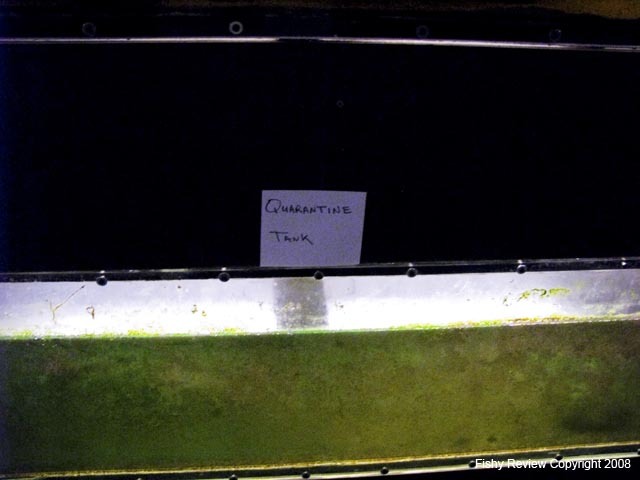 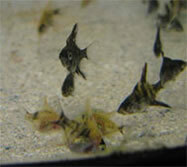 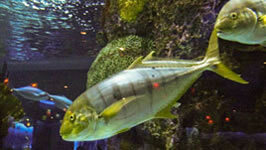 They have twelve 4000 gallon aquariums and also many 1000 gallon aquariums. 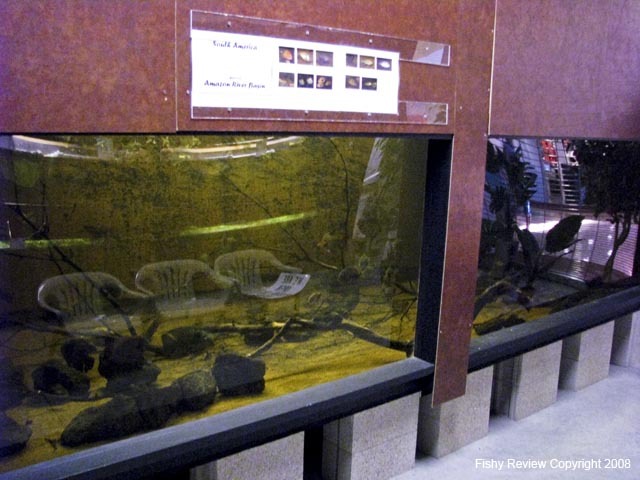 I thought it was a great idea to put a place like this in a mall. 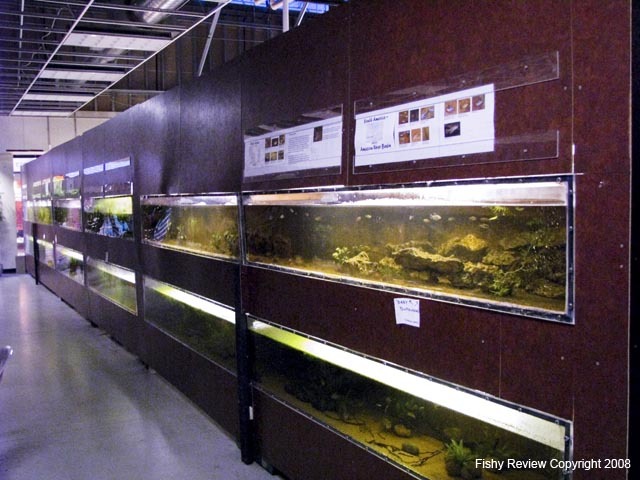 If I lived in that area, I would find any excuse to go to the mall and pay the $3 entry fee to look through all the tanks. 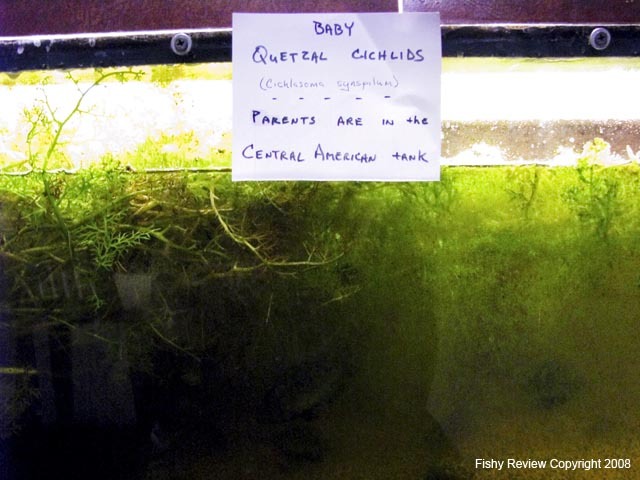 It should be really popular for people with kids, too. 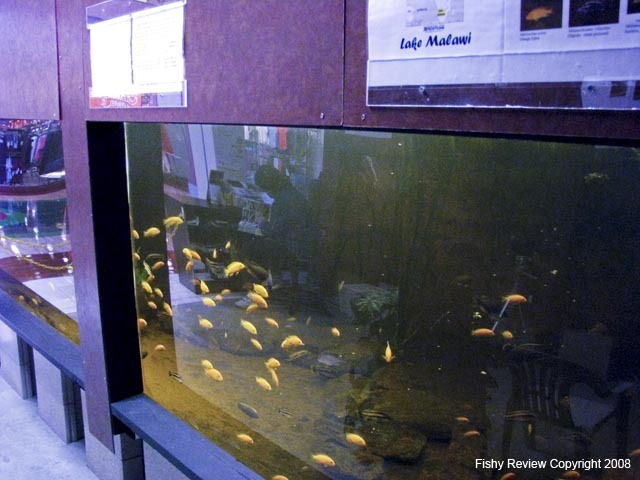 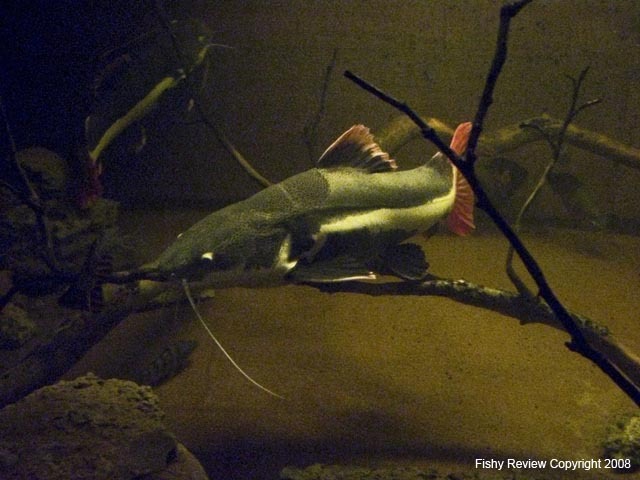 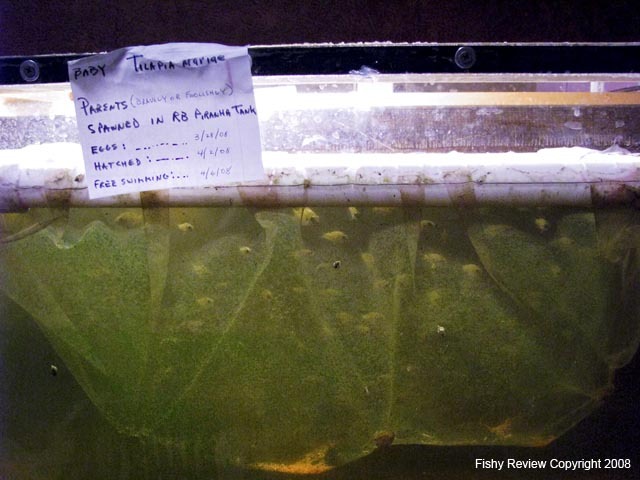 How often do kids get to see any big tanks or big fish? 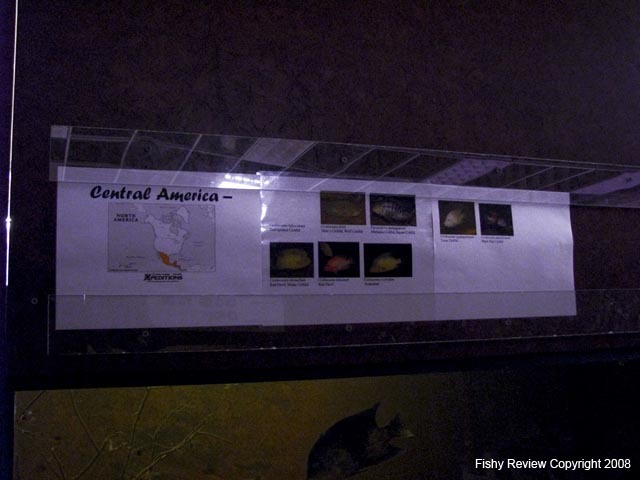 I just spoke to the information desk at the mall because I didn't see the Piranha Realm listed in the directory. 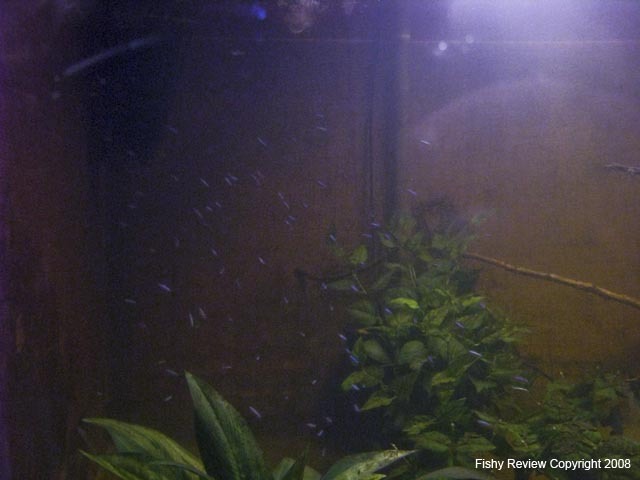 I was told by the lady that answered, "I heard that they were not going to open back up and that they were moving out." 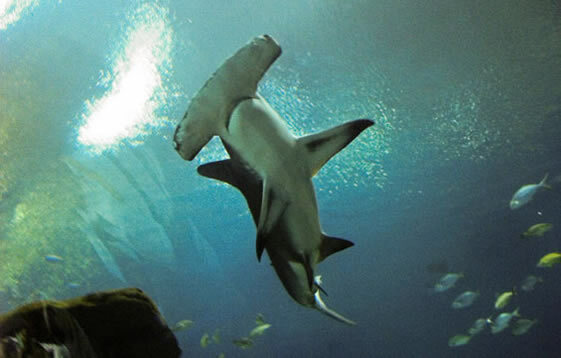 She didn't know where it might be moving. 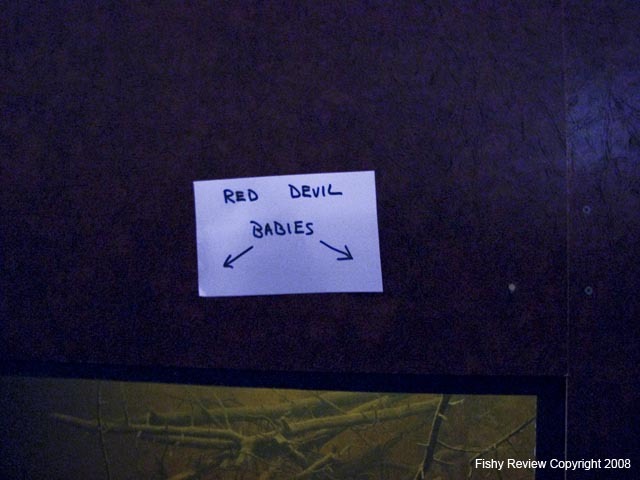 Too bad that it didn't work out. 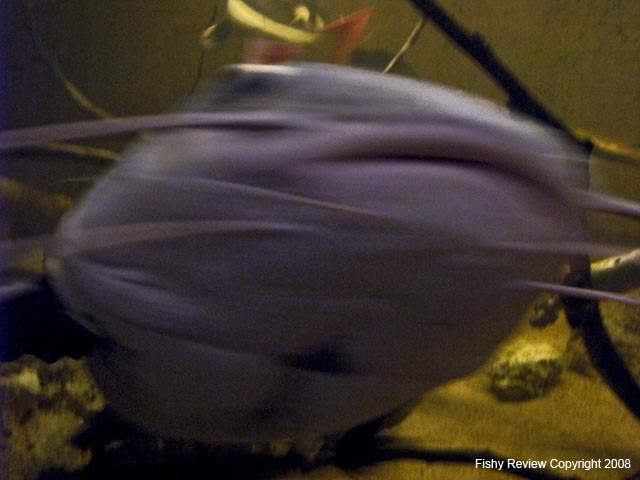 I hope that it's moving somewhere and not just vanishing. 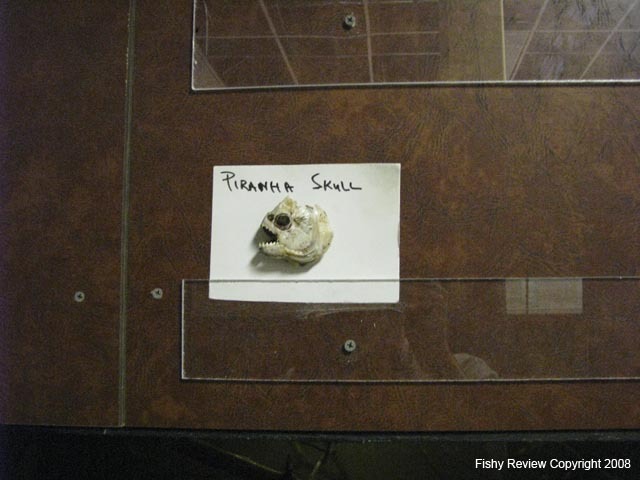 I'm sure mall rent is really expensive, though. 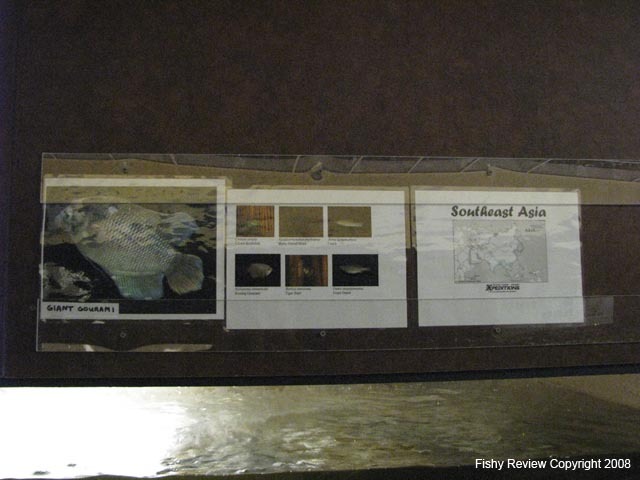 This is bigMoCats' Piranha Realm Photo Album--he helped George build the Piranha Realm. 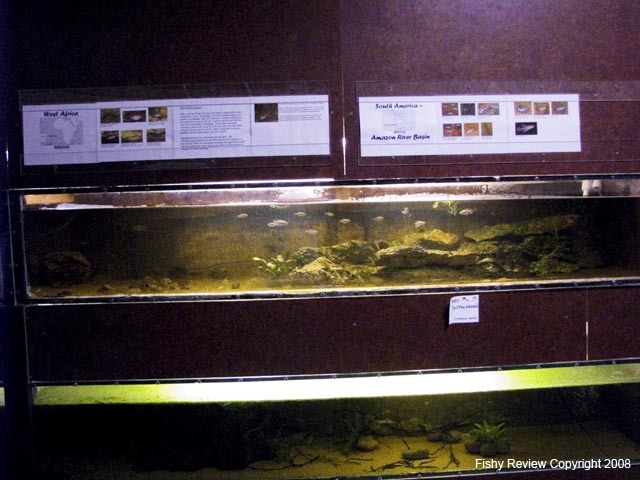 His page shows the construction of the tanks. 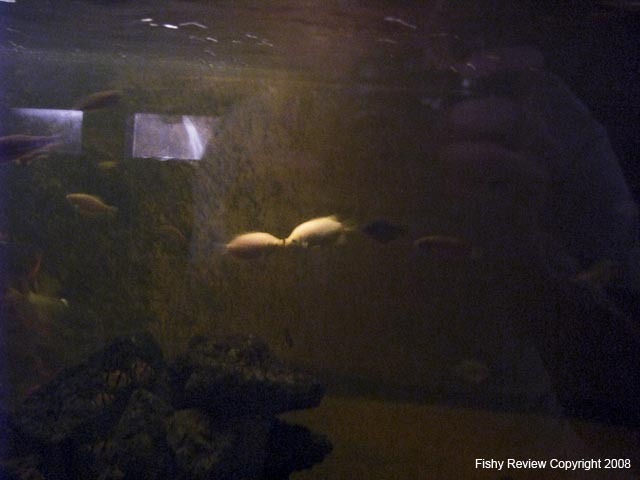 Here are some good pictures (probably better than mine!) 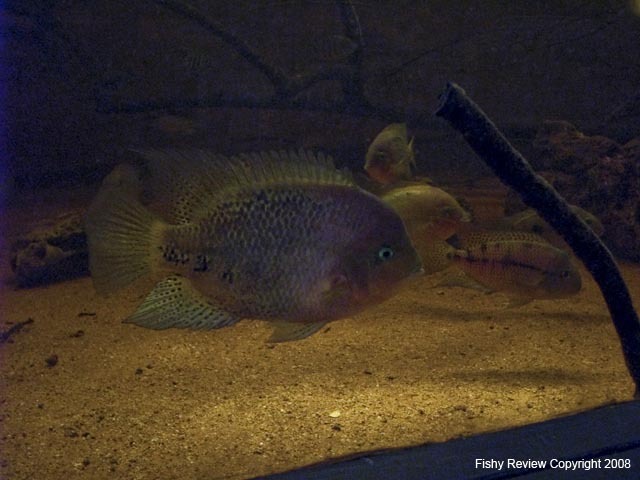 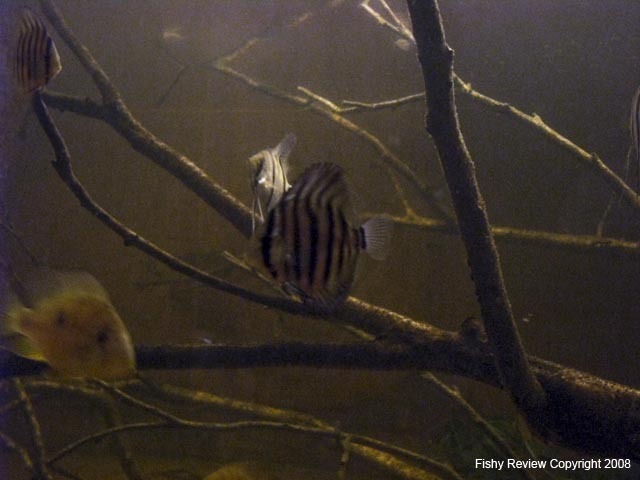 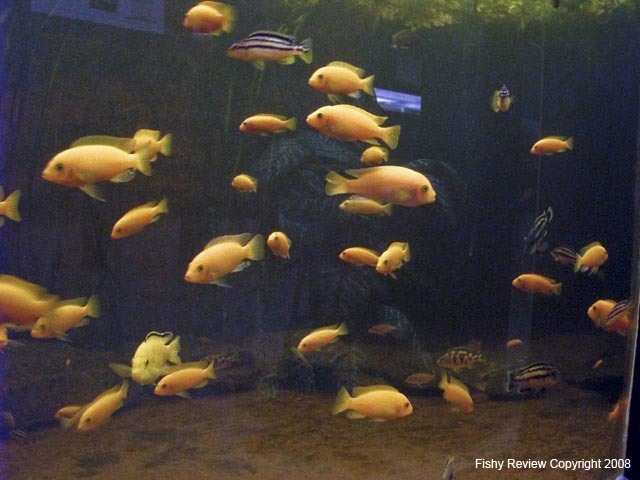 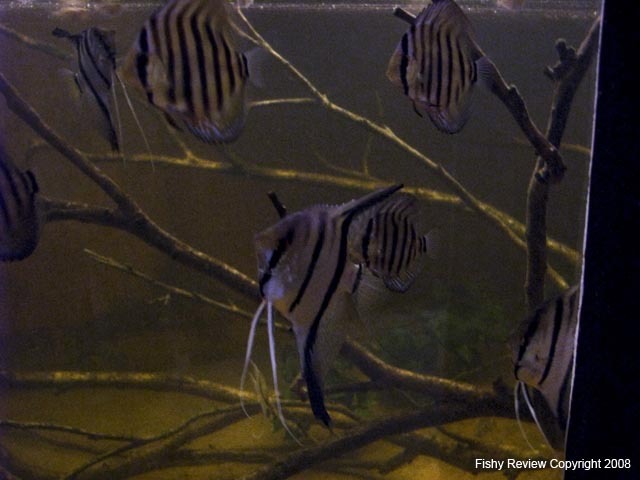 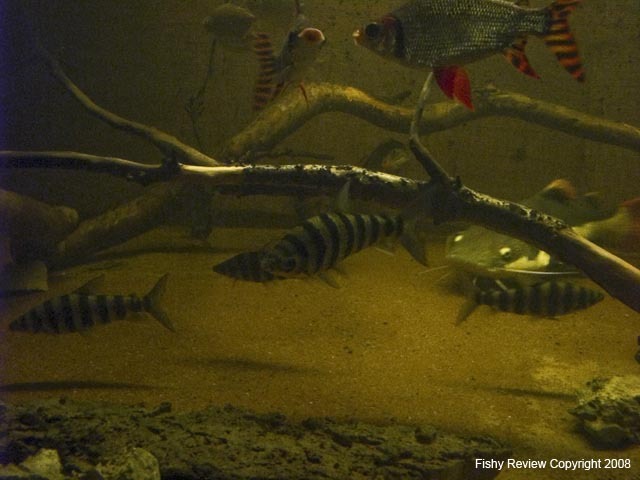 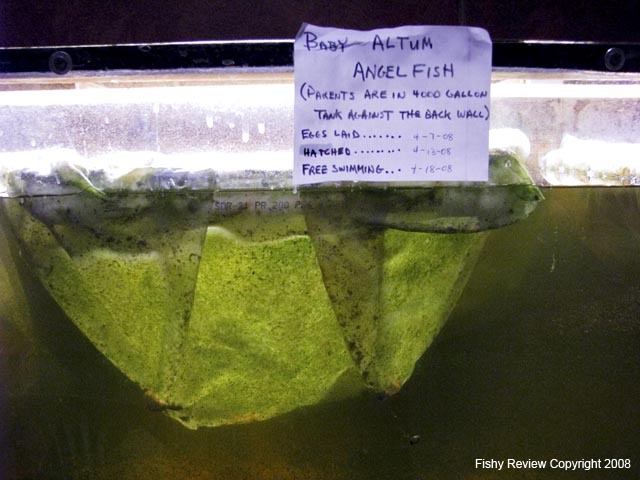 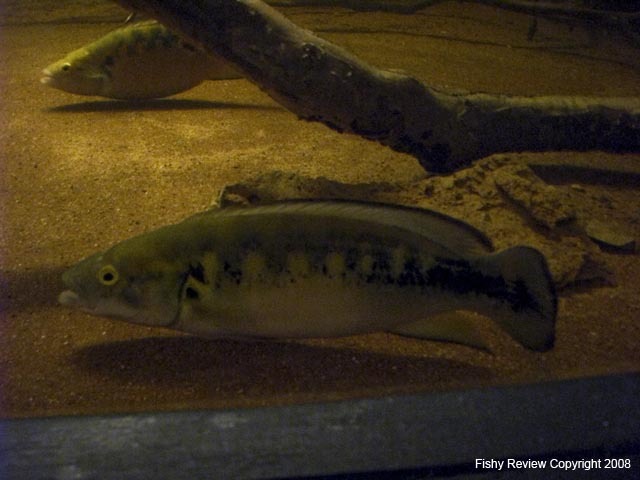 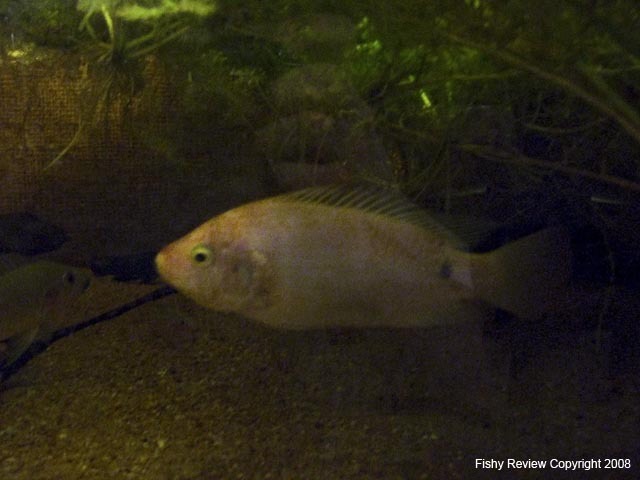 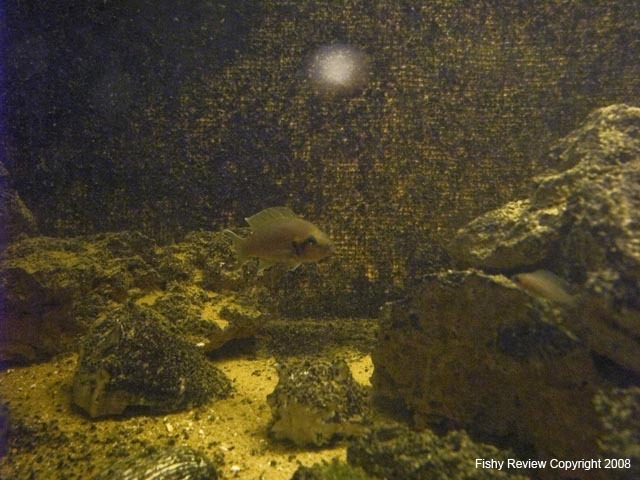 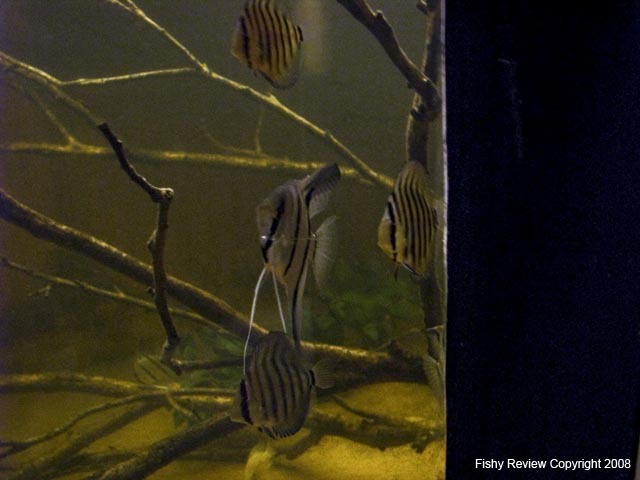 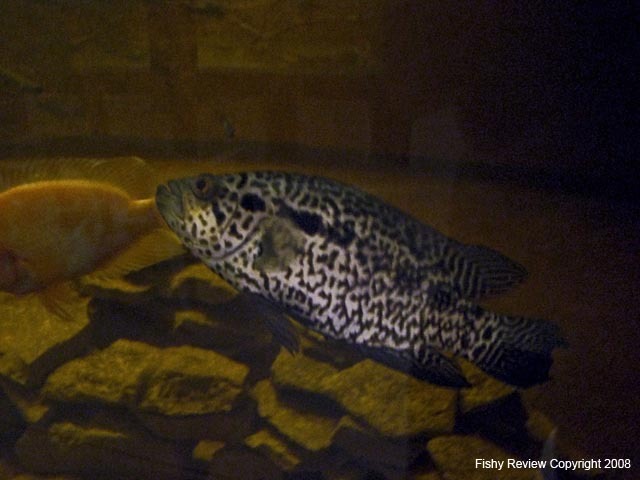 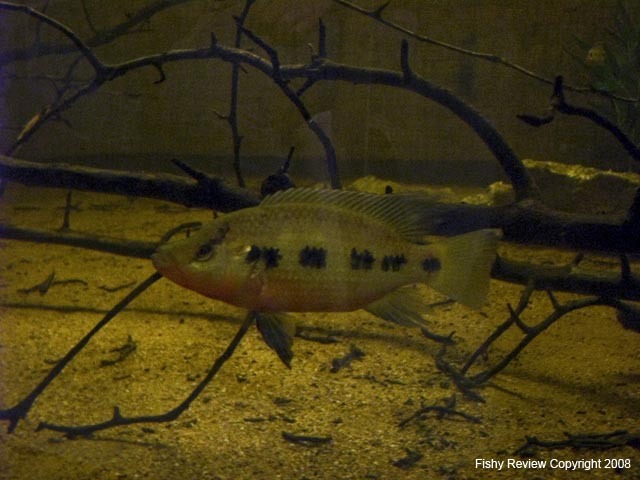 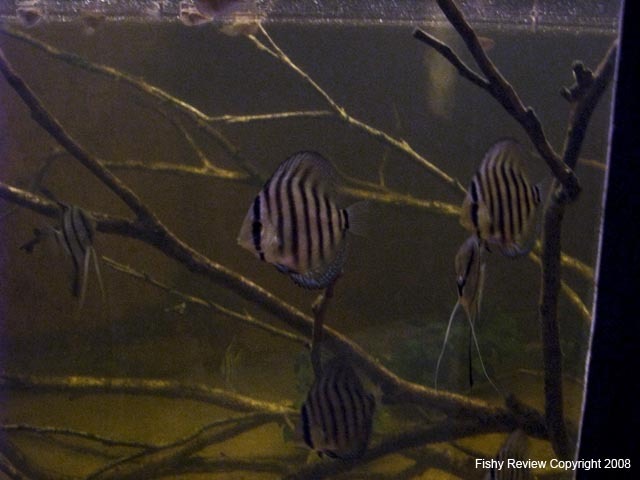 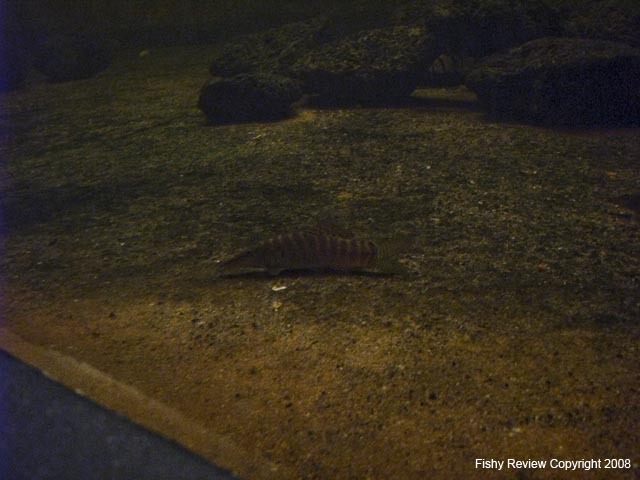 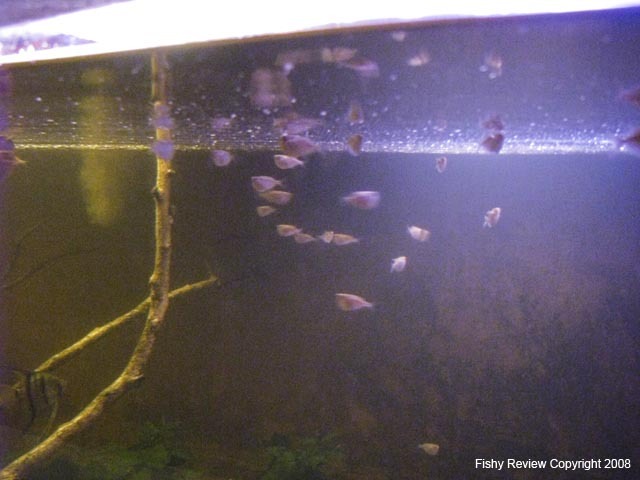 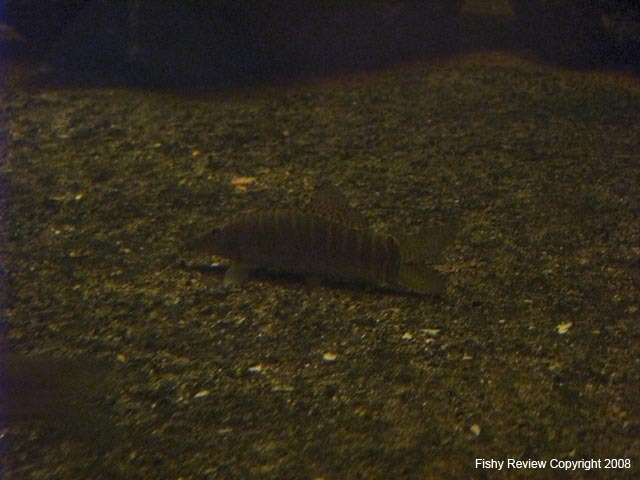 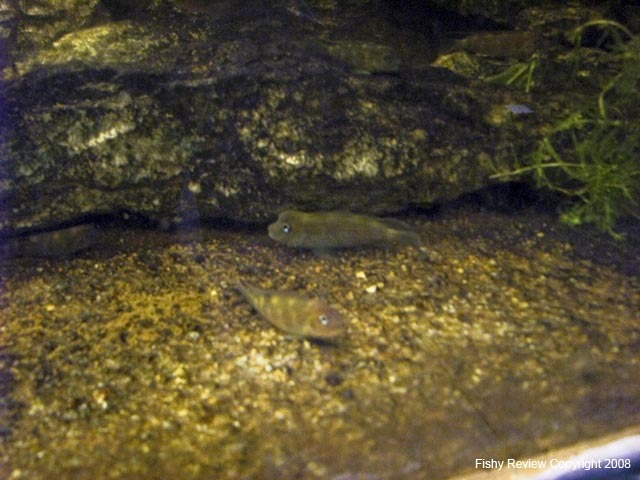 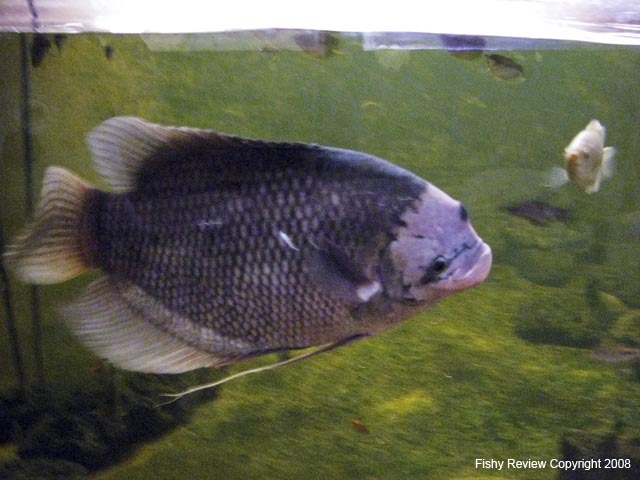 on the American Cichlid Association Forum.